RRB Group D Result 2018 update: Railway Recruitment Board Exam (RRB) is expected to announce the RRB Group D Result 2018 next week. According to reports, RRB Group D Result 2018 is likely to release between February 10 and 13, 2019. However, the board has not yet announced the result declaration date. Candidates waiting for their result should not panic. The RRB will declare the Group D Result 2018 on its official website. Guide to download the RRB Group D Exam Result is mentioned below. How to check RRB Group D Result 2018 online? 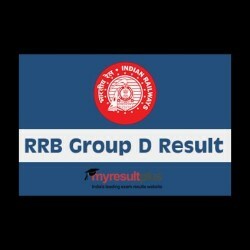 Simple steps to download RRB group D Result 2018 as follows. Step 1: Visit rrb.gov.in/ regional websites. Step 2: Go to the link for Downloading Group D Result 2018 option (link not yet active).